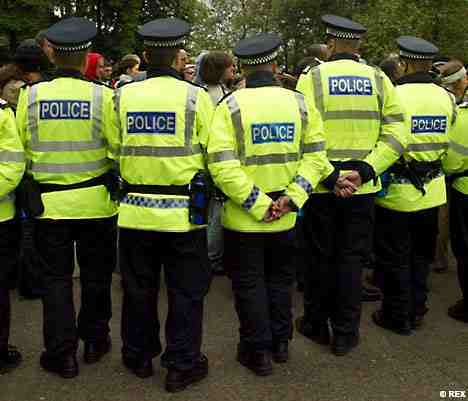 The sham of what passes for ‘politics’ and ‘democracy’ in Glasgow was once again exposed as the Labour party and Strathclyde police demonstrated their complete contempt for the people of this city. Supporters of the Glasgow Defence Campaign, Black Triangle disability rights group and the Save the Accord campaign, in trying to acquire some basic answers for the actions of their elected representatives were met with the kind of dirty tricks, thuggery and politicking in which the authorities in Glasgow are so well-trained. On the morning of Thursday 23 June, supporters of the GDC and the Black Triangle attended a full meeting of the Strathclyde Police Authority. The role of a full meeting of the SPA is ‘to approve the Authority’s governance framework and administration of its finances; makes key strategic and major policy decisions; approve annual plans and monitor performance.’ Its current convenor is Labour party councillor Stephen Curran. As was anticipated, Strathclyde police and its political paymasters made every effort to ensure that even the most basic procedures of accountability were by-passed in order to avoid a challenge to their continued attacks on activists and communities in Glasgow. The location of the meeting was secretly changed on 16 June from the City Chambers, where all full Authority meetings in Glasgow have been held for the past two years, to George Street Parish Church, in a clear attempt to avoid the GDC’s calls for a protest and to prevent any unwanted members of the public actually attending the public meeting. On entering, GDC and Black Triangle supporters were met by two uniformed police officers and the building’s Duty Manager, Gerry Macsorley, who radioed into other officers that people had arrived. Two activists were allowed to enter the meeting but were told that the agenda of the meeting had already been set, that there would be no opportunity to ask questions and were subsequently left to sit in silence as the minutes of the last SPA meeting (copies not provided) were discussed. Meanwhile, Inspector Jim Gillan, officers A112 and A503 along with Gerry Macsorley prevented two other GDC supporters from entering. The GDC is clear that the fact the powers that be are forced to resort to such dirty tricks to avoid the most basic accountability represents a vindication of the continuing campaigns against both the police and Labour council, who are now running scared. While those who dare to challenge them are treated like criminals, we are confident in the knowledge that it is the police and council who represent the biggest threats to law and order in Glasgow. The rotten corpse of these institutions must be challenged at every step as the movement against the cuts grows and the struggles of the working class intensify. We will not allow them to hide behind the shadow of the ‘Tory menace’. This is only the beginning.